It was about as Jekyll and Hyde as you get in the modern game. At half-time, Manchester United were 2-0 down away to Manchester City, they'd touched the ball just once in the opposing area and they were probably wondering the best way to escape the Etihad at the final whistle so as to miss the title celebrations. Then came some talk from Jose Mourinho about how they wouldn't want to look like "clowns" and then, the second half and the three-goal blitz in the space of 16 minutes that sunk City and delayed their party. In our hunt for simple, dumbed-down narratives, we would ascribe the turnaround to half-time inspiration or tactical changes. 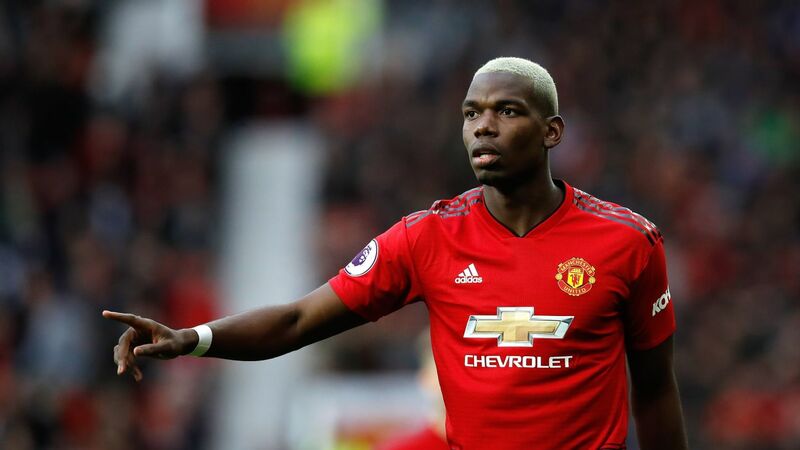 But as the likes of Ashley Young, Paul Pogba and Mourinho himself revealed, there was no real hocus-pocus. Sure, Pogba and Alexis Sanchez got forward more but when you're two goals down, that's pretty much par for the course. It's not as if you're going to sit to try to limit the damage. And yes, they talked about their pride and standing up to be counted at half-time. But it's stuff the players would have heard and said hundreds of times. 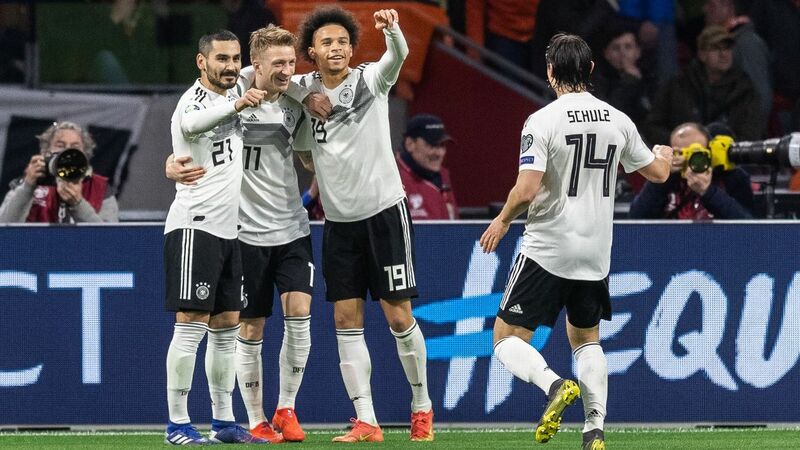 It's also worth remembering that just after the break, Ilkay Gundogan could well have added a third so it's not as if it was a case of simply flipping a switch. And yet... it certainly felt that way. That 16-minute stint, marked by United's three goals, showed what they could be and perhaps will be. 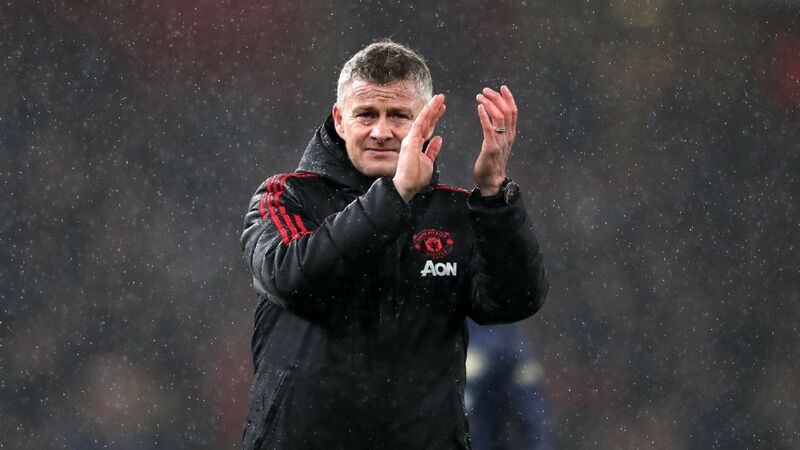 The pieces fit, the talented players (starting with the overly criticised Pogba) made the difference and the guys in red acted as if they owned the Etihad. Meanwhile, City were left reeling and, most uncharacteristically, out of control. Yeah, control: that concept Pep Guardiola talks about all the time. His teams don't lose very often but when they do, the collapse is often rapid and brutal, as Guardiola himself pointed out. Three goals in 18 minutes in 2014 against Real Madrid. Three goals in 17 minutes against Barcelona in 2015. Three goals in 17 minutes against Leicester in 2016. Three goals in nine minutes against Liverpool this past January. Three goals in 19 minutes against Liverpool last week, and now three in 16 against United. At some point, surely it stops being a statistical quirk and becomes something to think about, no? Pogba and Man United stormed back to win the derby. Should Man City be concerned? 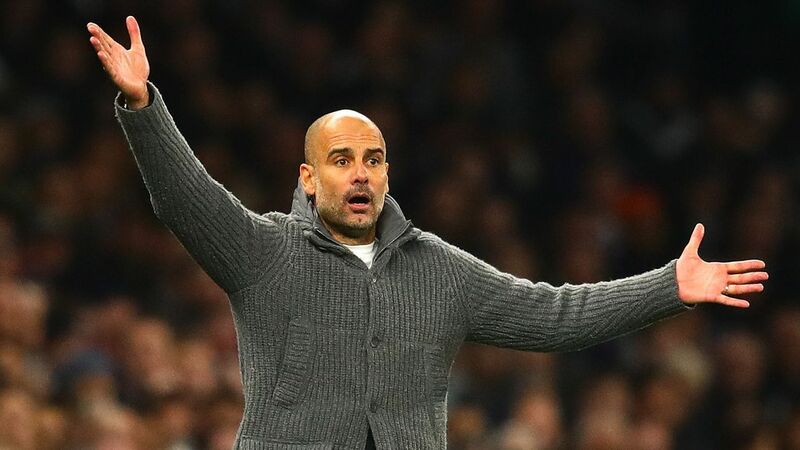 Successive defeats in this manner naturally remove Guardiola's aura of infallibility, but they don't change the fact that this is an incredible season that has seen them play not just outstanding football, but dominating football to a degree not seen in the Premier League in some years. 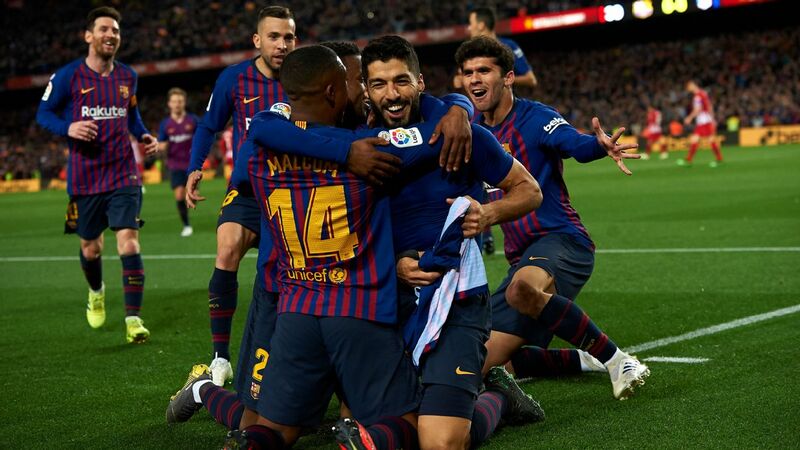 They will likely finish the campaign with two trophies -- though it's worth remembering that 3-0 Champions League deficits have been turned around in the past -- and that, by any measure, is a success. 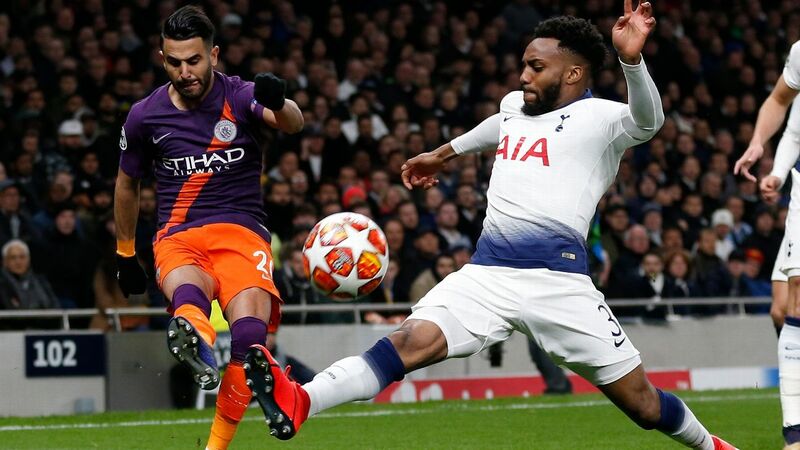 Even amid all this, when you factor in the fact that Young's horror tackle on Sergio Aguero should have been a straight red and a penalty or the many opportunities they had, you realize that on balance, they weren't outplayed. But the domino act has got to be a concern. A different sort of manager would shrug and say he had bigger concerns. 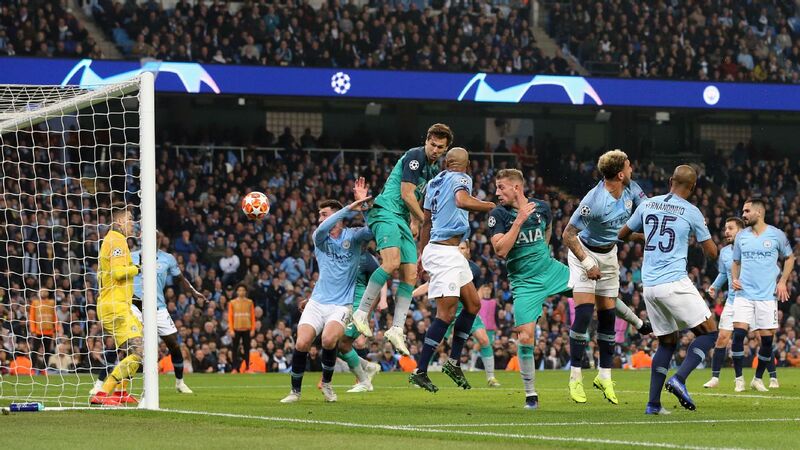 City have already virtually won the league; doing it at home in a derby so the fans can have a party would have been nice but nowhere near as important as doing all you can to overturn the first leg deficit against Liverpool and getting into the Champions League semifinals. But Guardiola isn't like that. He knows that Saturday's game mattered and especially, those 16 minutes mattered. As for United, sure, Mourinho is right when he says that maybe they're not as bad a team as some suggest and he's not as bad a manager as some suggest. What you saw is how great players can make all the difference when let loose. And how, for all the criticism, there obviously is a strong work ethic and belief in this group of players. Culture is not United's problem. The things to fix are elsewhere and Mourinho knows this. 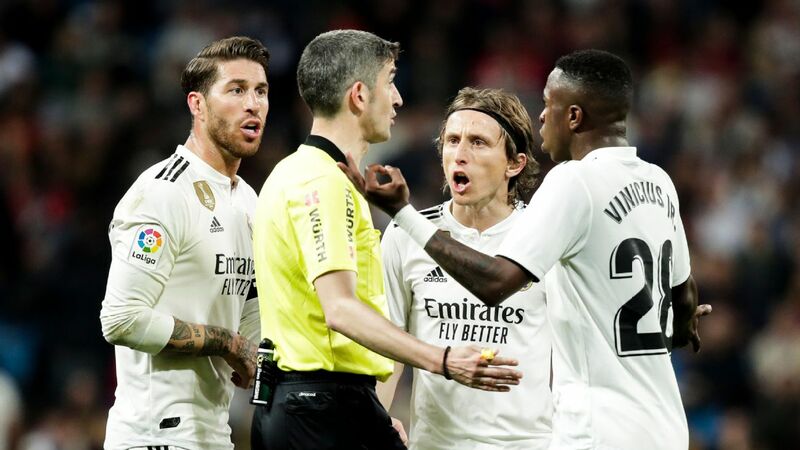 You could forgive Diego Simeone and Zinedine Zidane for having other matters on their mind when Atletico and Real met in the Madrid derby on Sunday. Both have return legs to worry about and while both are nursing healthy first-leg leads (especially Real), they've been around long enough to take little for granted. Simeone made two changes and Zidane made four -- Mateo Kovacic, Lucas Vazquez, Marco Asensio and Gareth Bale coming in for Casemiro, Luka Modric, Isco and Karim Benzema -- though in the case of Asensio and Bale, the line between starter and reserve is decidedly blurred. Real hit the woodwork twice and forced a couple great saves from Jan Oblak. Atletico focused on the counters, as you'd expect, and came close through Diego Costa. Antoine Griezmann answered Cristiano Ronaldo's strike in the second half and the game slowly petered out, except for another Oblak masterpiece off a Sergio Ramos free kick. 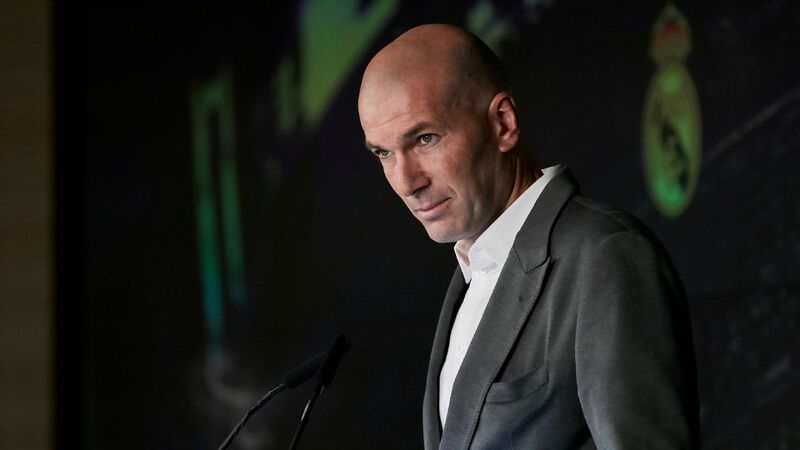 Some questioned Ronaldo's substitution at the hour mark but it was simply common sense from Zidane. Incidentally, Ronaldo hit the 40-goal mark for the eighth consecutive season and continued his rich vein of form, making it 23 goals in his last 12 games. 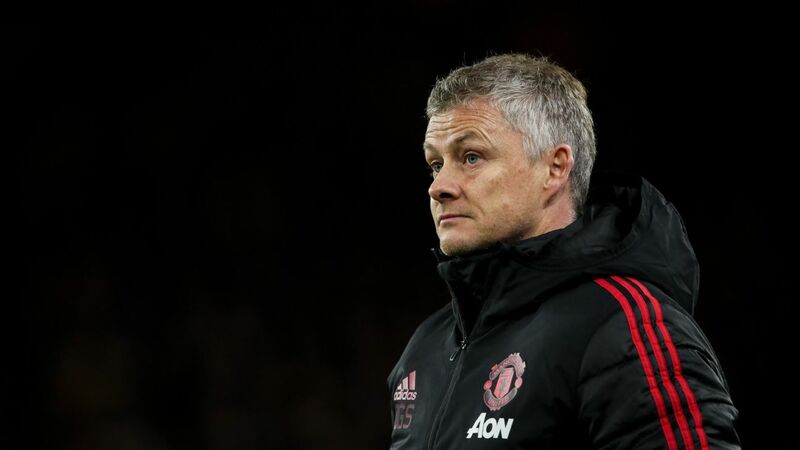 Most striking of all perhaps is how fit and sharp he appears physically: he looks nothing like a 33-year-old approaching the end of a long and gruelling season. The first of Europe's "Big Five" leagues was wrapped up on Saturday when Bayern won 4-1 at Augsburg to become German champions for the 28th time. Plenty has been written about their stranglehold on the Bundesliga -- this is their sixth straight title and both their revenue and wage bill dwarf the competition -- and there isn't much point in revisiting it now. Yet it's still pretty remarkable to think that on Oct. 5, Bayern were five points away from first place and now, 22 games later, they are 20 points clear. And that they were able to do this by calling a 72-year-old guy, who had not coached in four years, out of retirement and handing him the keys to the club. Jupp Heynckes famously said it was his dog, Cando, that persuaded him to return and there are some who will say that Bayern could well have appointed the dog and still run away with the title. Maybe so, but there is little question that Heynckes' presence has helped the club navigate what could have been a very tricky six months with veterans on expiring contracts, a deep bench clamouring for playing time and uncertainty over Heynckes' successor. He may have been a Band-Aid but he did his job well and that entailed more than just delivering trophies. And, heck, he might even walk away with the second Treble of his career: he's six games away from it. Messi's latest hat-trick helped Barcelona to yet another victory in La Liga. It was another weekend of ordinary genius for Lionel Messi and you're almost thankful he was supposedly carrying a muscular injury because otherwise, you wonder what he might have done. Leganes are what they are: not a cadre of superstars but a mid-table side who know how to defend and can be difficult to break down. 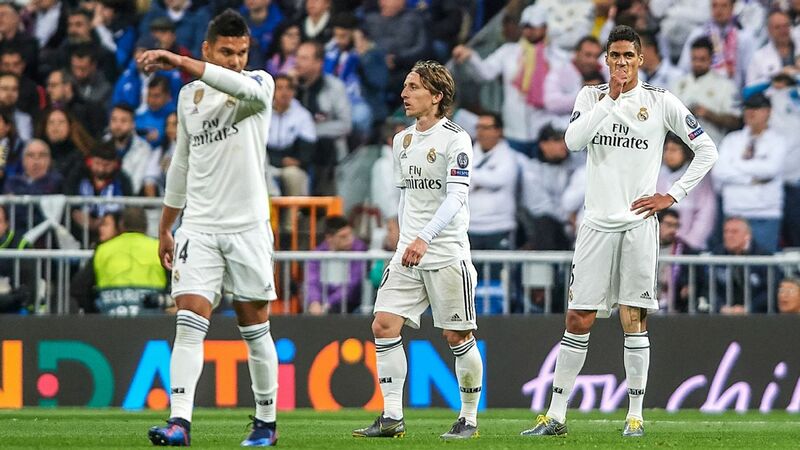 Before the weekend, they had conceded just three fewer goals than Real Madrid. 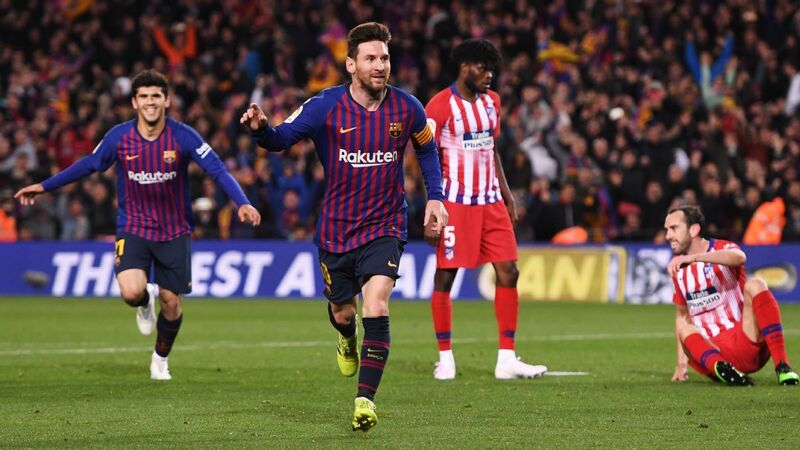 With Sergio Busquets, Andres Iniesta, Jordi Alba and Samuel Umtiti all either rested or on the bench, it was left to Messi to bang in a hat-trick (including his sixth free-kick goal of the season, tying a Liga mark) and send them on their way to a 3-1 win. Messi is now up to 39 goals for the season, 29 in La Liga. That 50-goal mark, which he has already reached five times in his career, doesn't seem quite that far away. It was no real surprise that the Merseyside derby was a bit of a dud. 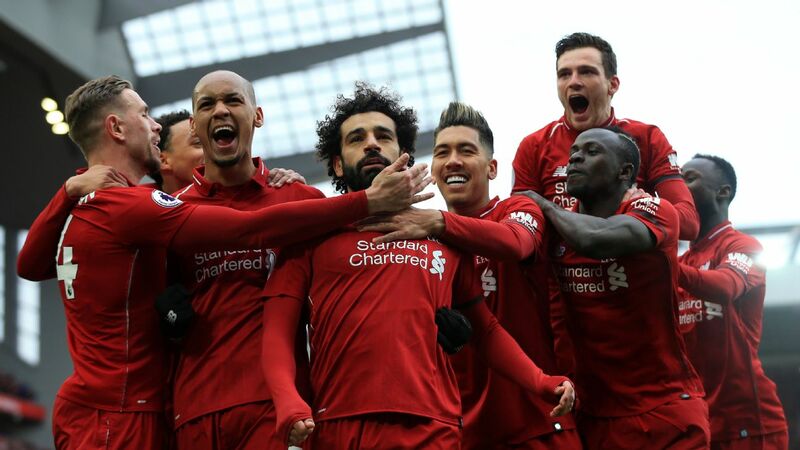 Nobody could blame Jurgen Klopp and his players for having their minds on the return leg with Manchester City in the Champions League, particularly as a top-four finish is all but assured. 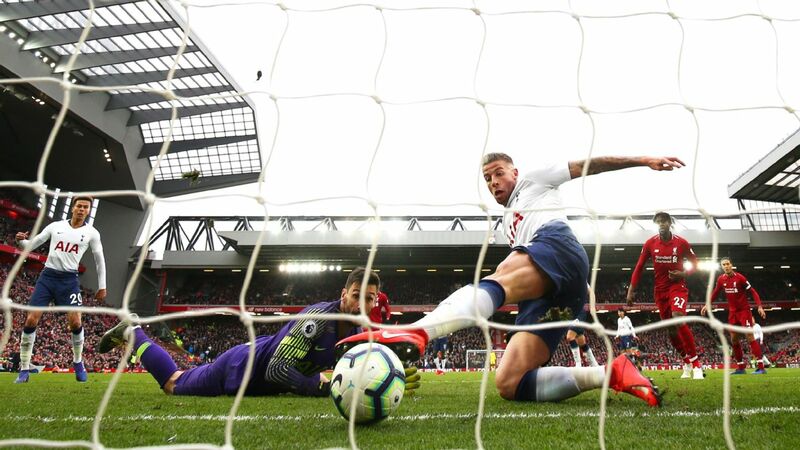 Everton, on the other hand, were disappointing, producing little other than a late Dominic Calvert-Lewin chance that could have given them all three points. Right now, they epitomize a mid-table treading of water... and not in a good way. They won't get in the Europa League, they won't get sucked in the relegation race and because Sam Allardyce likely won't be back next year, they're not building towards anything either. You also wonder whether this is the right place for Wayne Rooney; despite playing in central midfield, he touched the ball just 29 times on Saturday. He hasn't scored in 2018 and has lasted 90 minutes just three times under Allardyce. Since the tragic death of Davide Astori, Fiorentina have played five games and won all of them, most recently a 2-0 away win at Roma. It may be a coincidence. It may simply be that a horrendous event has somehow brought the players together. Or it may be something else. Whatever the case, he's not forgotten. How do Monaco do it? Don't look now but Monaco's 2-1 win over Nantes this past weekend makes it 17 consecutive league games without a defeat for Leonardo Jardim's crew. They're 14 points behind Paris Saint-Germain with six games to go, which means the title is almost certainly out of reach. But it's another feather in the cap for Jardim and the instant rebuilding job the club have done. Just to remind ourselves, last summer they lost Benjamin Mendy, Valerie Germain, Tiemoue Bakayoko, Bernardo Silva and, of course, Kylian Mbappe. 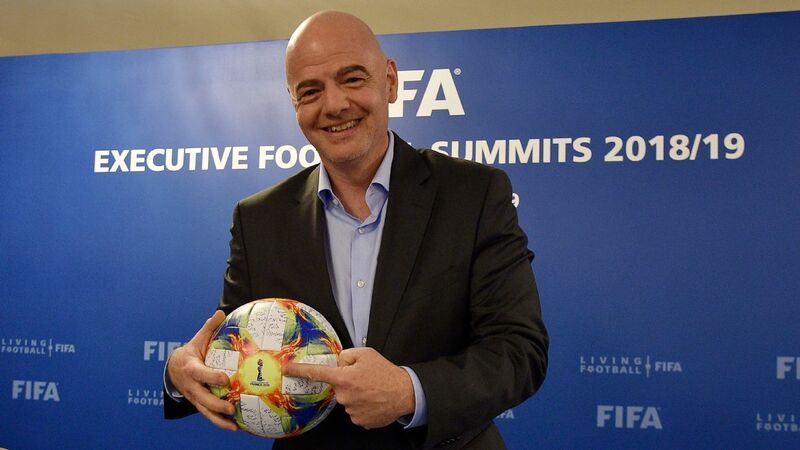 In total, they took in more than &dollar;460 million in transfer fees, of which they reinvested just over &dollar;150m. What's remarkable is that many of their big signings haven't really moved the needle. Keita Balde, Youri Tielemans, Stevan Jovetic and Terence Kongolo have all been either inconsistent or slowed by injuries. Instead, Jardim has gotten a huge lift from Rony Lopes (back from his loan at Lille) and holdovers like the eternal Radamel Falcao. If the season began when their streak began in early December, they'd be on pace to gain 93 points, which is pretty darn close to the 95 they incredibly amassed last year. They may be dead last in Serie A and 65 points behind the league leaders at kickoff but Benevento gave Juventus a scare-and-a-half on Saturday. Benevento went behind twice and equalized twice before two late goals for the bianconeri sealed a 4-2 win. It's evidence that if you attack this Juve side, you can rattle them. Talent matters too, of course, and because Benevento are several orders of magnitude less gifted than, say, Real Madrid, they end up losing. That said, Juve can take comfort in a stellar performance from Paulo Dybala, almost as if to atone for the midweek nightmare against Madrid. 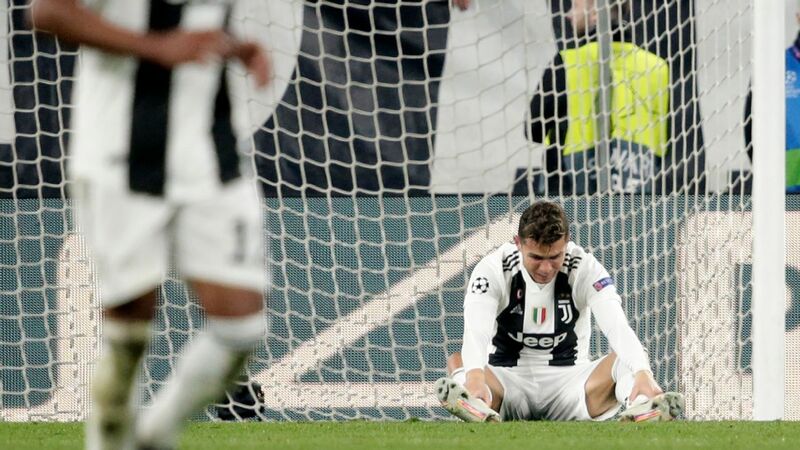 A drop was predictable after the Madrid game; it came, it was absorbed and Juve moved on, like they always seem to do. Instead, they're headed to the Europa League and as Cesar Azpilicueta says, even winning the FA Cup won't make up for a lost season. 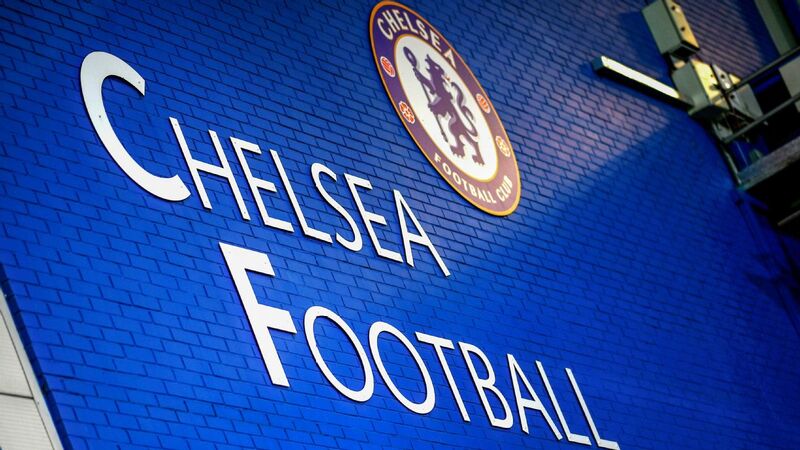 More to the point, missing out on the Champions League will affect the hunt for a new manager. Not only won't he get to play in the club games' biggest competition, he'll face a short-fall that could be anywhere between &dollar;60m and &dollar;120m. That in turn will affect transfers, which is part of the reason Antonio Conte was so grumpy to begin with. 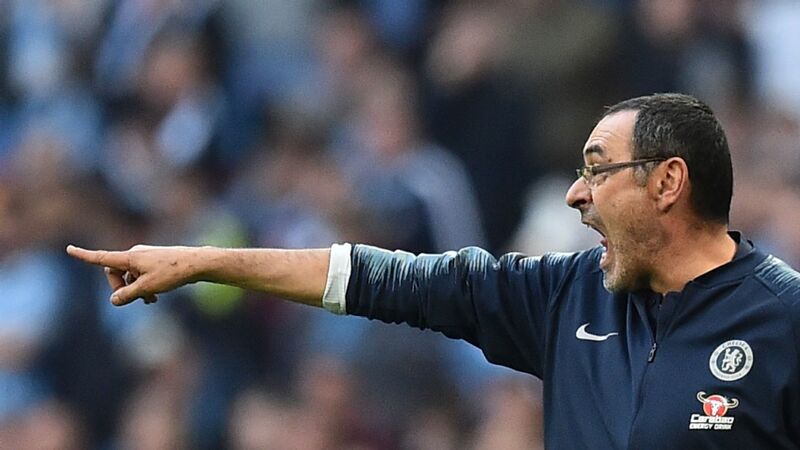 If Napoli don't win the Serie A title this season -- and the odds are against them as they're four points back with seven games to go -- folks ought to blame a lack of depth, Arkadiusz Milik's injury or the fact that Juventus are simply a better team with better players. What you hope won't arise is the nonsense about the lack of a "culture of winning" or being "mentally soft" because they showed, again, on Sunday that this is not the case. 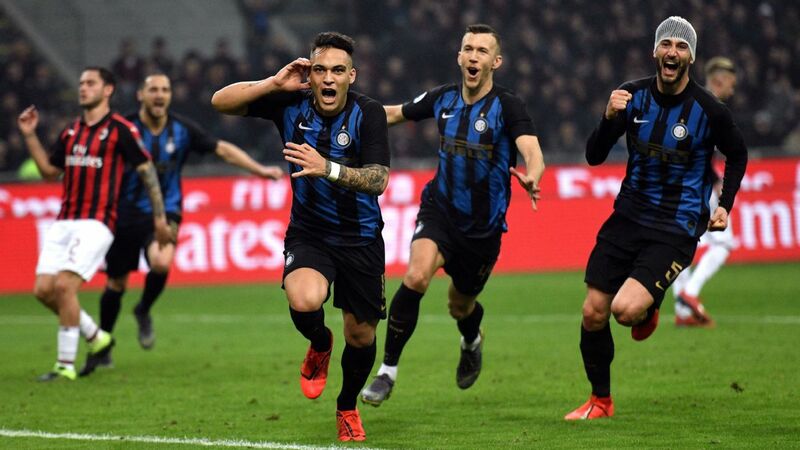 With one minute left at home to Chievo, they were a goal down and seven points behind Juve, with some fans getting on the players' case, particularly Lorenzo Insigne. Then came Milik's dramatic equalizer and deep into injury time, Amadou Diawara's winner. Napoli live to fight another day. And while their recent performances have been nowhere near as good as earlier this season, the fact remains: nobody in recent Serie A history has pushed Juve this hard. Bas Dost scored the opening goal in Sporting's 2-0 victory over Pacos de Ferreira, which leaves them third in the Portuguese league, six points behind Benfica. He now has 24 goals in 25 league matches, putting him on pace to score 28 league goals this season. Overall, he has 30 goals in 40 games in all competitions. This concludes the latest instalment of #BasDostWatch.